I have a high prescription -6.5 with astigmatism in the left eye and -7.0 in the right. Up to this point, I have been wearing contacts pretty much 100% of the time (as in, never taking them out except to replace them with new ones) for almost 30 years. 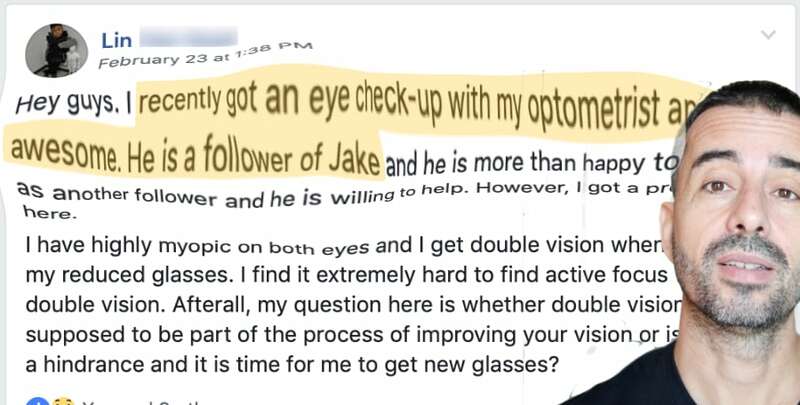 I know this is bad practice (especially as I get older) and I looked into laser surgery but the prospect of retinal detachment motivated me to find another way. That and elective surgery sort of goes against my beliefs. 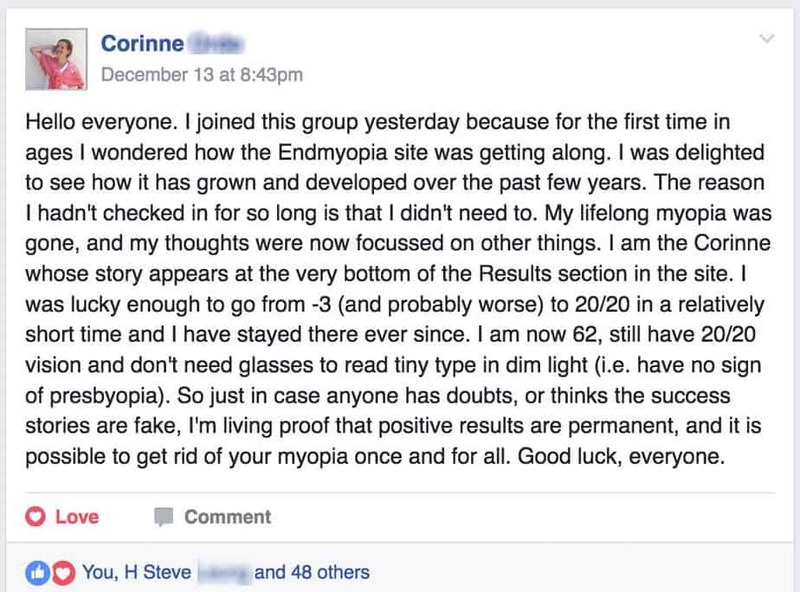 I also have two family members that have experienced retinal detachment; I do not want to make it a family tradition. In order to find out if I am a candidate for the surgery (I am, healthy corneas; despite my mistreatment of them), I had to spend 3 weeks without my contact lenses and now, whenever I try to wear them, they drive me crazy! After years of no discomfort whatsoever, I now experience constant discomfort from the same brand of lenses. My eyes want to be free! Since I can’t really do the Snellen tests effectively, I’ve been using the Myopia app to get my measurements…they do change of course but run around 16-17cm at best. (Usually following some distance work outside). I can tell that what my eyes want more than anything is the differential prescription but I’ve looked into the lens test kits and after you add the shipping from China, they are over $200, this is holding up my progression. Is there another way to determine my differential prescription or am I going to either have to buy the test kit or go get another exam and hope to find someone that will cooperate with my goals? This question comes up very regularly, and is always a challenge the first time around. How do you choose the right prescription to keep your eyes happy during all that close-up time? You don’t really need a test lens kit. I’ll give you some approximations here to start with. Along with that, here are a few tricks you can use to determine your differential prescription. 1) Measure your approximate primary close-up distance (as in, how far are your eyes from your computer screen or other work / reading material usually?). 2) Wearing your regular prescription, find a store that sells reading glasses. 3) Grab some reading material (usually also sold in the same places). Hold at a distance similar to your usual close-up distance. 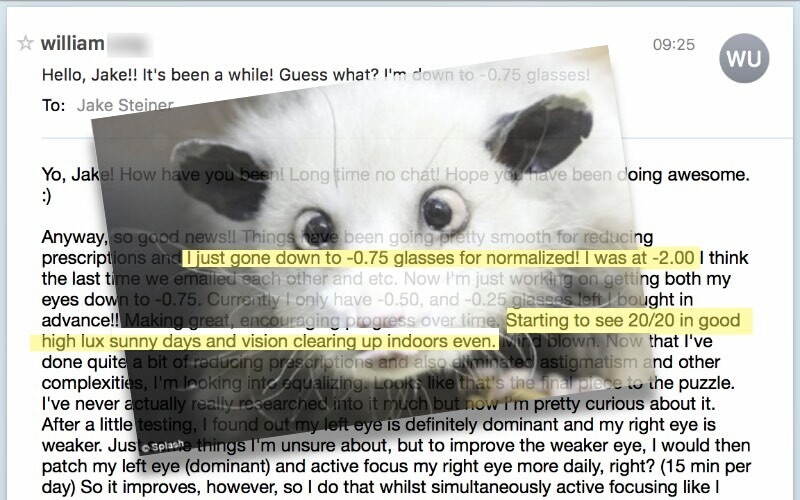 Put on a +1.00 reading glass. How do you see with that? Do you get clarity and blur horizon around your ergonomic distance? 4) Rinse and repeat with a +1.50. Somewhere between +1 and +2 you will find the right amount of reduced correction. The way that works is that every diopter of plus negates a diopter of minus. So if your distance prescription is a -6.00 and you put on a +1.00 reading glass, you are now looking at the world through a -5.00. This isn’t accurate for several reasons. Not the least of which is that if you wear contact lenses, the prescription number equivalent for glasses will be slightly higher (look in resources link for conversion). Also there’s a bit of focal plane error that happens with putting these two sets of lenses in front of your eyes. 1) Buy disposable (cheap) contact lenses, ranging from 1 to 2 diopters lower than your current contact lenses. 2) Try each while in your usual close-up environment. 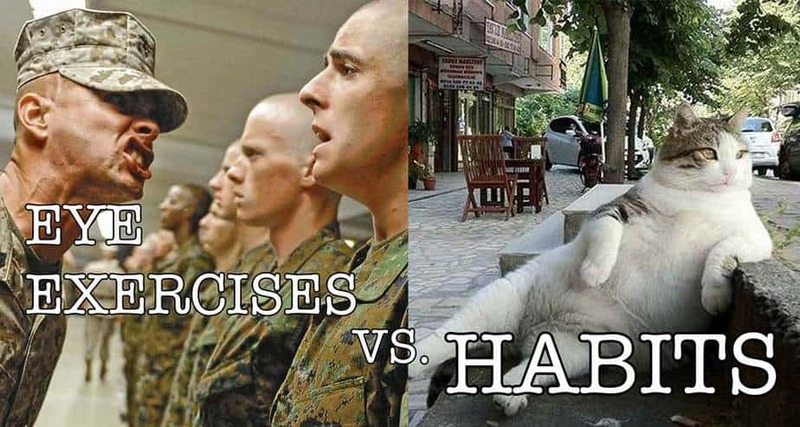 Determine which is best. 3) Use the contacts to glasses conversion page to figure out the right glasses. This one, also not perfect because of the contacts to glasses reality. It’s still quite inexpensive and quick. 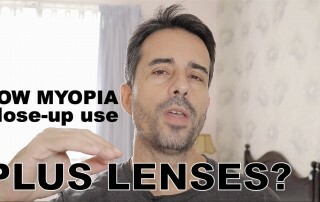 You can buy a bunch of uncut lenses cheaply online. Get them ranging 1 – 3 diopters lower than your current prescription. You can use these like a budget friendly test lens kit. It’s rather lacking compared to a proper test lens kit, but it’s an option. 1) The variables here are how strong your regular prescription is for you. If you are already not seeing that well with your regular prescription, reducing it by -1.25 may be too much. 2) Lighting. If you work in poor lighting conditions (which you shouldn’t), you may need more prescription. 3) The contact lens prescription is always more than glasses equivalent. See the conversion in the resources page. 4) Distance is key. If you work at 50cm, you can use a higher reduction than if you work at 90cm (obviously, since a lower prescription will move blur closer for you). 5) Astigmatism correction. If the astigmatism test on the resources section tells you that you don’t need that correction, you can substitute 0.25 diopters of spherical for every 0.50 of cylinder (astigmatism correction). Again, we are generalizing a whole lot here. Your individual mileage may vary. Of course a test lens kit is the best, with a bit of digging you should be able to find an optometrist trial lens kit for around 120 USD / 100 Euro online. I wouldn’t start with this investment, though, if money is an issue. 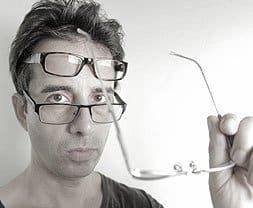 Going one diopter lower in a glasses prescription from your contact lens prescription is usually a good start (depending on astigmatism, which is another subject – usually we don’t need astigmatism correction for differential, but check the astigmatism page in the resources section). I’m also glad to offer specific suggestions here in the forum. Take your time, treat the process like an exploration. Before long it will all be simple and routine. Once you had your first successful differential prescription, all the subsequent ones will be simple (usually just 0.25 reductions). Edited a bit for completeness. The original forum thread is here. I hope this is helpful for you. If you are (or were at any point) subscribed to the paid course, feel free to ask specific questions in the forum.